I have a RS6, which sort of tries to pull off the same trick. 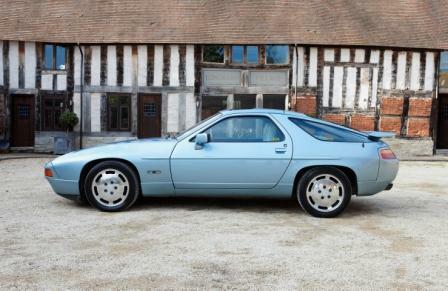 Except it does so without feeling dull and without the look-at-me styling of the Porsche. Oh, and routine maintenance is a task requiring the willing sale of various organs. My parents' rich friends had a SD1 Vanden Plas. It gave me a taste for luxury, cavernous panel gaps and wood trimmings. So a few years ago I bought a SD1 Vitesse. It was - and is - undeniably gorgeous to look at. The interior is also quite nice, in a wavey, brittle plastic and industrial design sort of way. The V8 sounds lovely and there's a big fat spoiler at the front. But step inside and turn the key and it all goes wrong. The SD1 has the worst driving position of any car I've ever driven. The gearbox makes stirring lumpy custard seem positively attractive. The build quality is so incredibly bad that you wonder what will fall into your lap each time you negotiate a corner. As an object d'art, the SD1 is hard to beat. As a driving and owning proposition, somewhat less so. Few cars have been copied and recreated quite like the AC Cobra. And with good reason. They didn't make many of the original, it looks flippin' amazing and goes like stink. And a good replica does all of these things too. I ran two replicas as hire cars for a few years and grew, over time, to hate them. The first was a terrible Python kit designed by someone presumably using a blurry photo of a Cobra as their guide. It also had a weedy Rover V8. The second was far better, an engineer-built AK Cobra with a 5.7 litre Corvette engine. The trouble with both of them, and probably most kit cars, is that they weren't designed and built in a factory. They're a bitsa. Nothing was originally designed to go together and so is never entirely happy with the forced marriage. Eventually, in the way of such things, one partner rebels. In my experience this tends to be the gearbox or clutch, which we replaced or rebuilt so many times we could do it in our sleep. And this highlights another problem. Because the components have often been adapted to work in the kit car, nobody except the man who built the car in his shed actually knows how it was changed and therefore how to rebuild it. Factor in that kit cars don't go through the usual design process to make them easy and practical to live with and you have a car with a heavy clutch, awkward cockpit, complicated roof and sundry other niggles that you can live with if it's just you driving but not if you've spend £300 hiring it. All of which tended to diminish the appeal somewhat. I've owned a couple of these, the early straight six X300 and the later x308 V8. They're essentially the same car, namely a reheated version of the 1968 XJ6, which donated its basic architecture. And that's the problem. 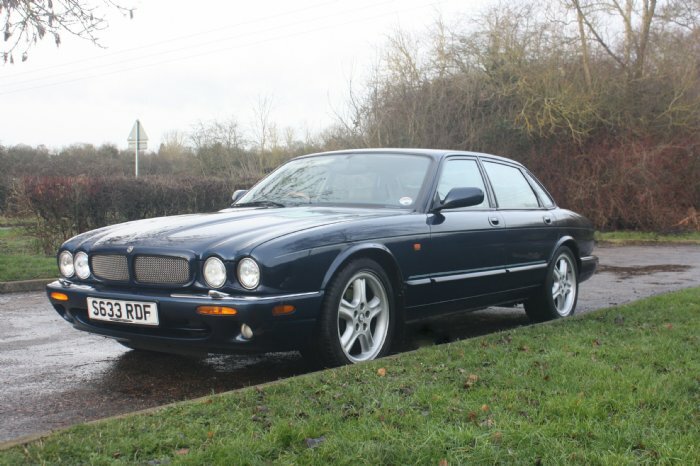 The XJ6 was a superlative saloon with Rolls Royce shaming ride and contemporary looks. The XJR is none of those things - it tramlines better than anything with an overhead electrical cable, it treats potholes like Everest and it looks like a car designed in 1968. The driving position is cramped and the handbrake digs into your thigh. Certainly these cars are fast. In a straight line when they aren't breaking down or the five individual fuse boxes are in alignment. Which is to say, not often. Ok, nobody expects the DeLorean to be any good. It's about how it looks, not how it goes. And I do know that. 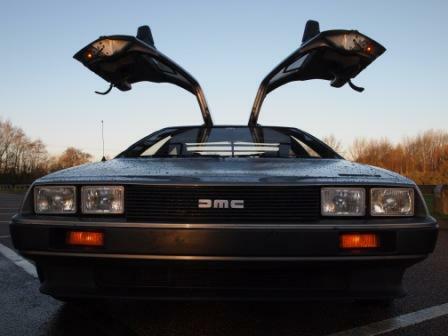 But the DeLorean is a car not a static display. It has wheels and an engine, although in terms of the former it turned out not to be very good at staying attached to them. If you like attracting attention from small children and the easily excited then perhaps you can overlook the shocking build quality, the terrible gearchange, the inability to see anything whatsoever from the driver's seat. I don't particularly and couldn't. In case you think I'm being harsh on a car so central to so many childhoods, then consider how you'd feel if the suspension collapsed at 70 mph due to a fundamental design flaw. Twice. DeLorean - look but don't touch. Thanks Larry, that's really kind of you to say.